As much of Britain was within range of German bombers, the threat of air-raids on the towns and cities was very high. 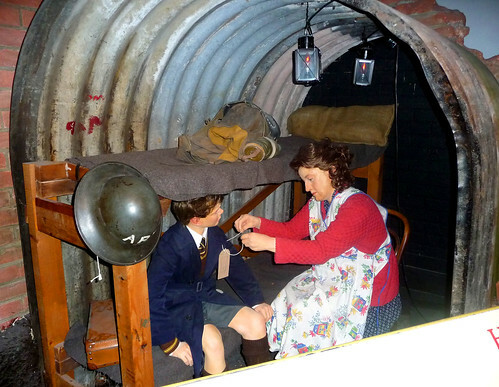 The government minister in charge of air-raid precautions in 1939, Sir John Anderson, came up with the idea of people building small, corrugated iron structures in their back gardens so that families could quickly shelter from any bombing. They were: sunk slightly into the ground, shaped in a curve and were covered with soil. Inside was a bench-seat which could become a bed a night. One-and-a-half million of these Anderson shelters had been put up by September 1939 and they were given away free to those who earned below £5 per week. Conditions were cramped inside them however and many complained of being damp and uncomfortable in them during long, overnight raids. There were indoor shelters available too. 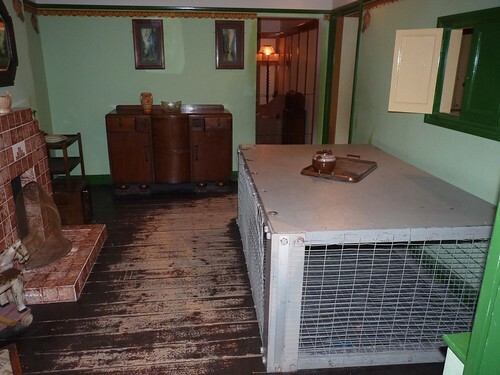 The Morrison shelter (named after the next home secretary, Herbert Morrison) was introduced in March 1941 and was like a large steel table, with wire mesh sides. Three people could climb under this structure during a raid and it was certainly warmer and drier than a visit to an Anderson shelter. 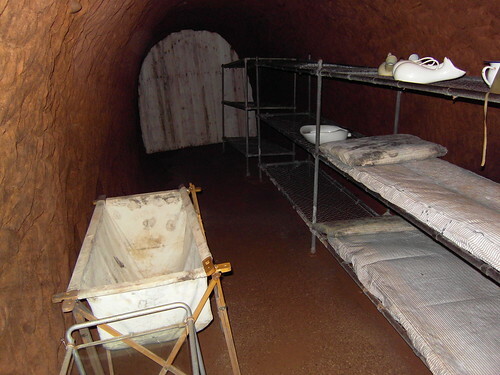 Other families cleared their coal cellars or even sheltered in the cupboard under the stairs. In London, permission was given to use stations on the Underground railway as a shelter from 21st September 1940. Before then they were forbidden, but many people got round this by buying a ticket and staying put. More than 150,000 people slept on the platforms every night during the Blitz. There were even special stations with libraries and classrooms for night classes. Aldwych station was closed for nearly six years and the unused tunnels were used as storage for art and treasures from the British museum. In Stockport, a system of tunnels was dug into a sandstone cliff in the town centre to provide shelter for the local residents. They opened on 28th October 1939 and could accommodate up to 6,500 people in them. In Manchester, a series of brick arches alongside the River Irwell acted as a shelter. 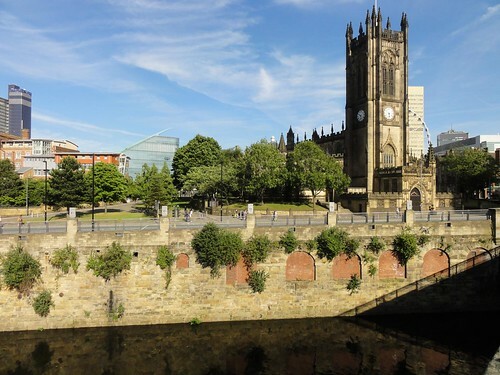 It was nicknamed ‘cathedral steps’ after the location of its main entrance and it contained bunk beds for just over 1,600 people. 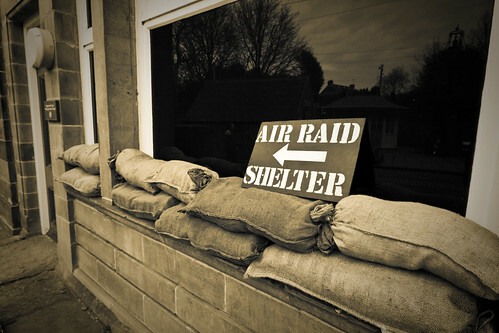 Sandbags were piled around the doors and entrances of shelters to prevent damage from bomb blasts. 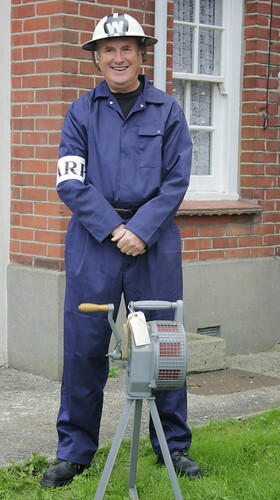 A loud air-raid siren would sound when German bombers were approaching and Air Raid Precaution (ARP) wardens would help people take cover until the ‘All Clear’ was given. Many people got so of tired of repeatedly interrupting their sleep to go back and forth to the shelters during the Blitz that they virtually took up residence in them. They brought: sandwiches, thermos flasks, pillows and blankets with them. Inside the shelters, families would listen to the bangs, hoping that their houses had not been hit and that no one they knew had been killed or injured. To keep themselves cheerful, people: told jokes, listened to stories, played card games or sang songs.